Nader Shah, ruler of Persia from 1736 to 1747, embodied ruthless ambition, energy, military brilliance, cynicism and cruelty. His reign was filled with bloodshed, betrayal and horror. Yet Nader Shah is central to Iran's early modern history. From a shepherd boy he rose to liberate his country from foreign occupation, and make himself Shah. He took eighteenth-century Iran from political collapse to become the dominant power in the region, recovering Herat and Kandahar, conquering Moghul Delhi, plundering the enormous treasures of India, repeatedly defeating Ottoman Turkey, and overrunning most of what is now Iraq. But suspicion and avarice led him to persecute the Persian people as savagely as any foreign conqueror had done. 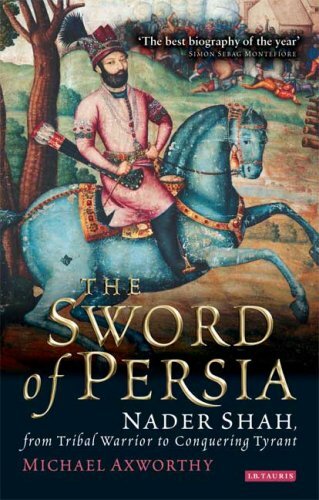 The Sword of Persia recreates the story of a remarkable, ruthless man, capable of both charm and brutality, who became a monster of insane cruelty. It is a rich narrative, full of dramatic incident, including much new research into original Iranian and other material, which will prove indispensable to historians and students.